Earlier this week, Virgin Atlantic announced a new partnership with Aviation American Gin, owned by actor and producer, Ryan Reynolds. As the exclusive UK airline partner, Virgin Atlantic will take the pioneering spirit of Aviation Gin to new heights, by serving it in Virgin Atlantic Clubhouses and offering its customers the opportunity to sip the award-winning gin on board at 35,000 feet. 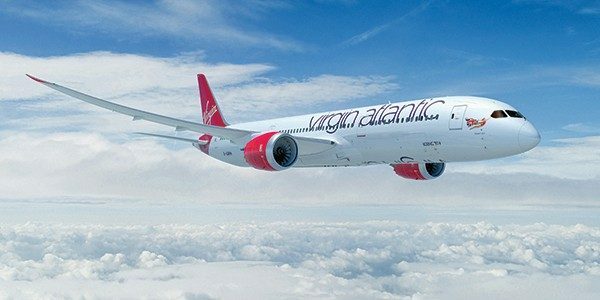 Speaking on the partnership, Sir Richard Branson, Virgin Group Founder, said: "I'm delighted Virgin Atlantic is working with Ryan and his team on this partnership. Aviation Gin was born out of a spirit of innovation, so serving it on board Virgin Atlantic flights seemed like the perfect combination." "I've been a huge fan of Sir Richard Branson and Virgin for years. For Aviation to be chosen as the gin of choice for such an iconic and quintessentially British brand is a complete honour. We look forward to serving Virgin Atlantic guests for years to come and, on a personal note, Sir Richard has promised to teach me the difference between revenue and profit, so I am beyond excited." Ryan Reynolds said. In a massive blow for Virgin Atlantic's staff based at London Gatwick, the airline announced that from 31st March 2019, the daily flight from to Las Vegas would move from the airport to London Heathrow.